Le’ema truly expresses spirit in the body through the use of dance as a vehicle for meditation and personal healing. 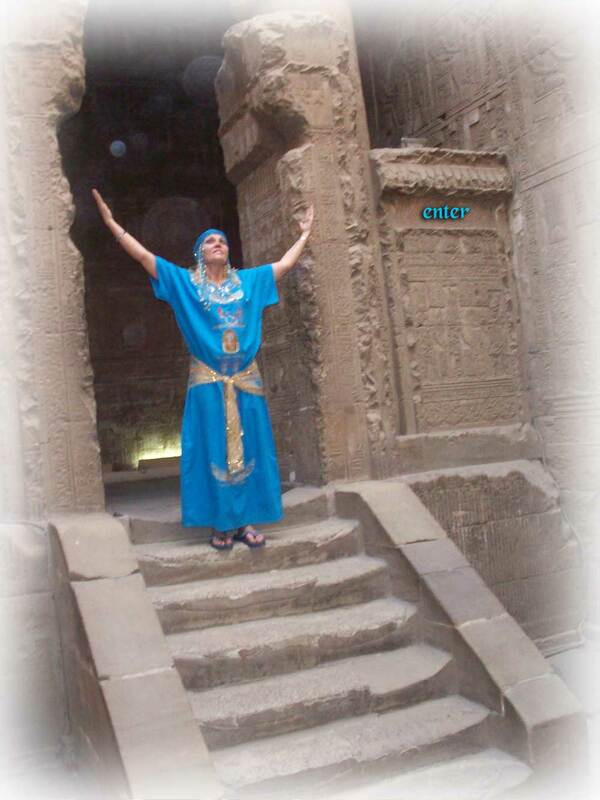 She is a visionary sacred dancer, choreographer, ritual-maker, teacher, and minister in the temple of Isis. Le’ema works with serpent power as snake keeper, yogini, mystic and medicine woman. She is a Priestess Hierophant in the Temple of Isis, and founder of Isis of the Snakes Iseum. Internationally recognized in the Goddess movement, with Master’s work in World Dance / Theater Arts, she has 25 years experience on stage, television and film. Her classes and performances reveal a spiritual vision with both social and political impact. As a teacher Le’ema is a profound catalyst for awakening and empowering the unique personal wisdom residing within each one of us. Le’ema is featured on A Gathering of Priestesses on Tuesday May 5, 2015! Le’ema will be offering a workshop Dancing With Divine Mother at the Lotus Yoga Centre in Toronto on Saturday May 9. Want to shed your old skin so you can move through your life with greater ease and freedom? Check out Le’ema’s online movement course Shedding Your Old Skin. 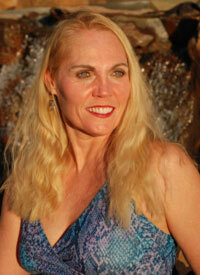 To see the Sacred Moon Dance videos by Le’ema, please visit her Dancing Priestess website. Immerse yourself in an ancient wisdom Mystery School of the Divine Feminine. Reconnect with your instinct and reclaim your Inner Goddess through ritual, yogic, tantric, shamanic and sacred dance practices (see Upcoming Events). This retreat qualifies you for Priestess Ordinations and/or Snake Yoga™ Certification, if eligible. This is a beautiful video honoring all the courageous and amazing women who attended my workshops over the years. Le’ema will perform her acclaimed “Dance of the Minoan Snake Goddess” and speak as the Oracle of Gaia about 2012 in the Harbin Temple at Harbin Hot Springs in Middletown, California. She will also present The Sacred Serpent Slide Show and read from her book Dancing the Inner Serpent: Memoirs of a Suburban Snake Priestess (see Upcoming Events). Le’ema has choreographed two new dances and performs in the Harmony Festival at the Santa Rosa fairgrounds on June 12th at 2pm. The first dance is “The Healing Prayer Dance for the 4 Directions and the 4 Elements” with The Rainbow Goddess Tribe: Azlan White, Heather Salmon, Le’ema Kathleen Graham, and Raven Lakins. Music by Donny Regalmuto and sung by Victoria Hazlett. Next, Le’ema will be dancing a solo performance as Isis with her boa in “Isis and Her Sacred Serpent”. Music by Stephen Ross.